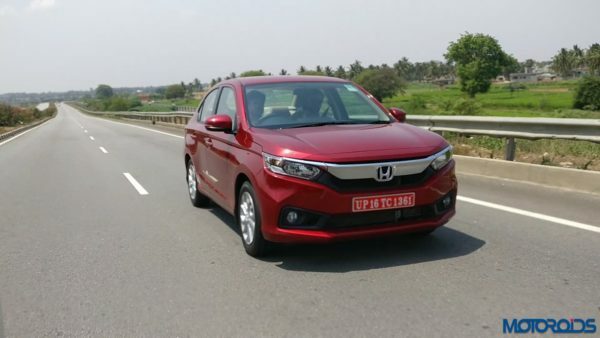 Honda Cars India has announced a voluntary, Prevention Inspection for the Amaze compact sedan. Honda Cars India has announced that it would carry out a Product Update of the EPS (Electric-Assist Power Steering) Sensor harness by inspecting 7,290 units of Honda Amaze manufactured from 17 April 2018 to 24 May 2018. There is a possibility that in some of these cars, the customers may feel the steering heavier and EPS indicator light comes on. HCIL will voluntarily replace the EPS column unit after inspection, if required. The inspection and replacement would be carried out free of cost at authorized Honda car dealerships across India starting from 26th July 2018 and the owners will be contacted individually. The customers can check whether their cars are covered under this Product Update campaign by submitting their 17 character alpha-numeric Vehicle Identification Number (VIN) on the special microsite which has been created on the company’s website.